The Crystal River winding through Placita toward Redstone. The listing of the Crystal River by American Rivers as one of the top-10 most endangered rivers in America this year is designed to influence the boards of two regional water districts: the Colorado River District and the West Divide Water Conservancy District. But Chris Treece, the external affairs director for the Colorado River District, said his organization and the West Divide District already have the river’s best interests at heart. 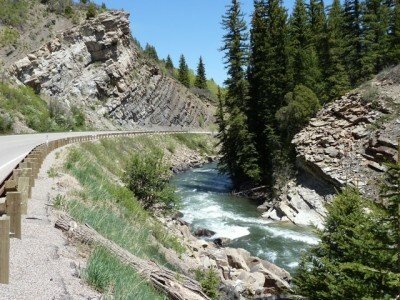 The lower Crystal often flows at barely a trickle in late August and into September, in large part because of significant irrigation diversions in the middle reach of the river. But American Rivers says high spring flows are important for river health and that a dam at Placita would flood an expansive wetland that provides valuable habitat for wildlife. Treece said he did not speak with anyone at American Rivers before it made its announcement on Tuesday about the Crystal River being placed on the most-endangered list. 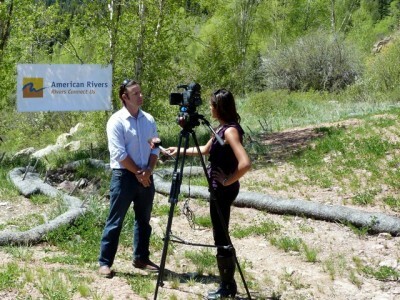 He called American Rivers a “public relations machine” and downplayed the effect the listing would likely have on the Colorado River District, which levies taxes in 15 counties on Colorado’s Western Slope, including Pitkin County. “I’d disappoint them if I didn’t tell them the listing was a headache, but it doesn’t change our mission, which is to provide water for the future benefit of the district,” Treece said. Rice said American Rivers does not contact organizations it is attempting to influence prior to the unveiling of its annual list because they often send out press releases trying to pre-empt the announcement. Calling the potential reservoir on the Crystal River a “pond,” Treece downplayed the size of the 4,000-acre-foot reservoir that the districts want to retain the right to build at Placita, an old mining site just below the turn to Marble off of Highway 133 below McClure Pass. The reservoir would be about four times as big as Grizzly Reservoir on Lincoln Creek outside of Aspen, which can hold 987 acre-feet of water at peak level. Looking at it another way, it would be about one-quarter the size of Paonia Reservoir on the other side of McClure Pass, which holds 15,459 acre-feet of water. The potential Placita and Yank Creek reservoirs are part of the West Divide Project that dates back to the late 1950s. It was designed to take water from the Crystal River watershed and transport it in a series of long canals to the relatively dry mesas south of Silt and Rifle for irrigation, municipal, hydro and energy uses. The water districts have asked the court to take the Osgood Reservoir, which would have put Redstone under a reservoir bigger than Ruedi Reservoir, off the books. 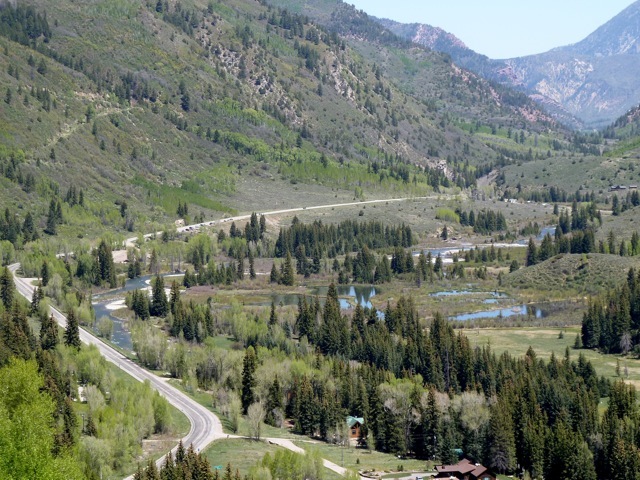 They’ve also asked the court to reduce the size of the potential Placita Reservoir from 62,009 acre-feet to 4,000 acre-feet and the potential Yank Creek Reservoir from 13,695 acre-feet to 5,000 acre-feet. 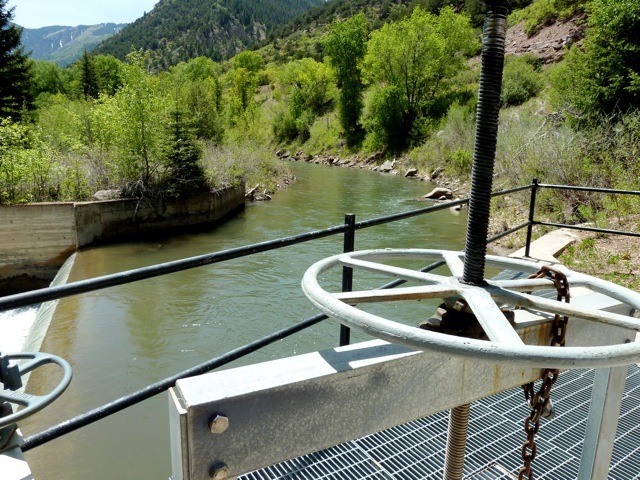 Other features of the filing include the right to divert 250 cubic feet per second (cfs) out of Avalanche Creek, a tributary of the Crystal, and the right to use 150 cfs of water from the Placita Reservoir for hydropower, which is three times the amount of water proposed to be used by the city of Aspen for a new hydro plant. In the West Divide area itself, the districts also have filed to retain a variety of conditional water rights, including 45,000 acre-feet of storage in the Dry Hollow Reservoir; 15,450 acre-feet in the Kendig Reservoir, along with an enlargement right of 2,610 acre-feet; and 6,500 acre-feet in the West Mamm Creek Reservoir. None of those reservoirs would receive water from the Crystal River as they would have under the original West Divide Project design. Those reservoirs and related canals are likely one reason why Garfield County is supporting the two water districts in court. 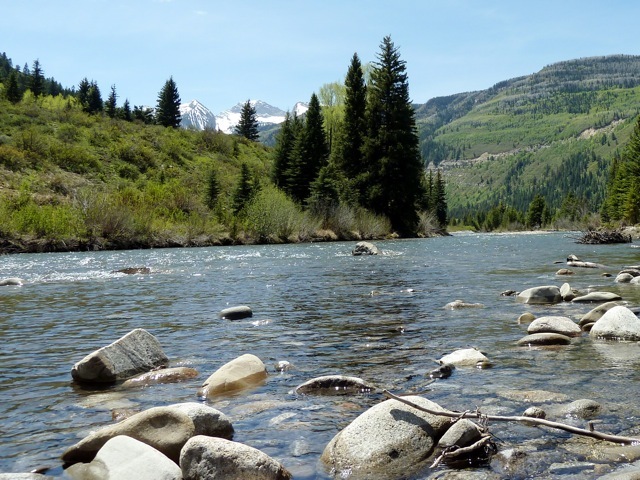 But it is the two potential dams in the Crystal River watershed that have prompted American Rivers, Pitkin County, the Crystal River Caucus, the Crystal Valley Environmental Protection Association and Trout Unlimited to oppose the districts. A trial in water court has been set for August 2013 over the diligence filings. In the meantime, the battle over the Crystal River will likely be waged in the court of public opinion. Editor’s note: This story was also published on May 17, 2012, in collaboration with the Aspen Daily News.